If you are thinking of choosing and buying an Auto DVD player for your car, you should consider its pros and cons and see if it is suitable for you. If you have children below 10 years of age, having an auto DVD player might be a blessing for you. Kids are not easy to handle and they tend to make quite a fuss, especially during a car ride. So if you need your children to be quiet so that you can concentrate on the road, installing a DVD player would be a good option. Just turn on their favorite cartoon and they can be entertained for the whole ride. It is not only the kids who need entertainment. If you have to cover a long distance and you have other passengers with you, turning on a video for them could keep them happy too. It would be less boring and the videos mean that there will be a lesser need for conversation, allowing you to focus on your driving. Especially if you are planning a road trip with your friends or your family, a DVD player can come very handy as it can provide a lot of entertainment on the road. Of course, for that, you will have to pack yourself with a lot of DVDs as well unless your DVD can connect to other devices. A bit expensive to install, the prices of these DVD players range from $100 (approximate) to a $1,000. It all depends on which brand you buy, whether you buy a used one or not, how many features it contains, the warranty offered with it, etc. Furthermore, the labor charges for installing one will be separate if you get it done by a professional. iPads have relatively larger screens than auto DVD players. These small screens will only cause stress on the eyes of the person watching. If it is a child who is using the DVD player most, it would be a good idea to get one with a larger screen so that their eyes do not get too strained. If you have a DVD player, it means that you will have DVDs too. Organizing a bundle of DVDs in your car can turn out to be a bit of a hassle. Before buying a DVD player for your car, it would be a good idea to go through the pros and cons list before you make your final decision. 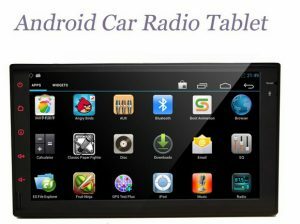 How to Install a Car Stereo ? 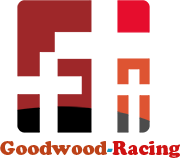 Copyright © 2019 Goodwood-Racing. All Rights Reserved.